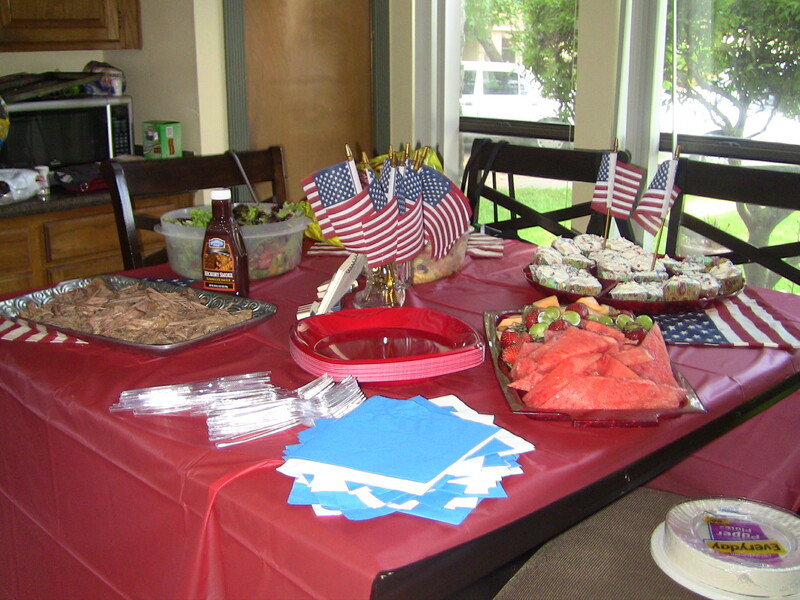 Show Me: Food, Fun and Family on the 4th! July 4th is fast approaching and I still don’t have plans. Not because they’re aren’t any….it’s because we have so many to choose from! All I know is that it ALWAYS involves Family. If you haven’t figured it out yet we are ALL about FAMILY at Show Me Decorating! We wanted to share a few of our family’s favorite summer foods along with tips to get the table set just right for your festive 4th! Trim some fat off the brisket but not all because it will help keep the juice in the meat and keep it from drying out. Claudes BBQ Sauce, Beer, Salt, Pepper and chopped onion. Using a large pan (throw away foil pans work great) line pan with foil leaving enough to cover the top of your meat. Mix seasoning in the bottom of the pan. 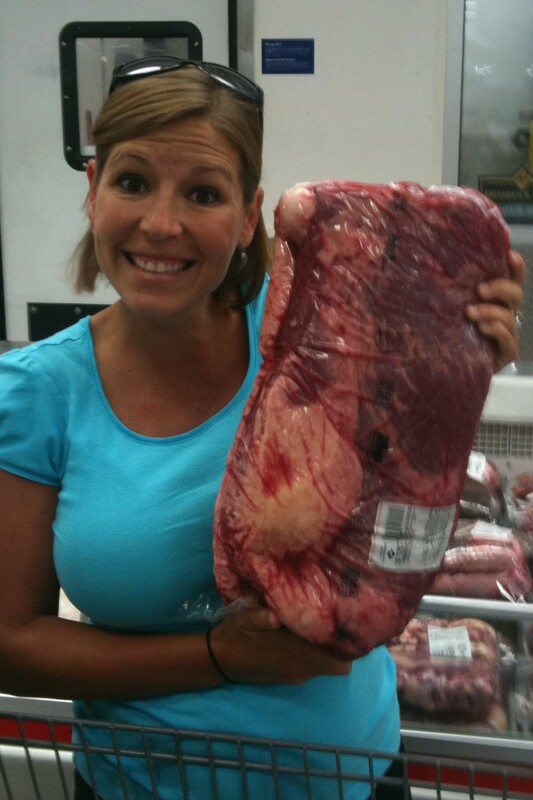 Lay meat fattest side up (this allows the fat to dry out not your meat) and season the top of your meat. Wrap your brisket tight in the foil. Recover the entire brisket with foil. Place in over at 300 degrees and allow to cook for up at least 5 hours. Trim remaining fat off brisket, cut and serve. Wash and cut potatoes into chunks. Bring potatoes to boil and allow to cook throughly, Drain potatoes, add 2 stick of butter, 16 ounces of sour cream, 1 1/2 cups of grated cheese and chopped green onions. Mix all together and place in large casserole pan. Top with additional cheese. Re-heat at 350′ for about 20-30 minutes. Dice peppers, celery and avocado, slice cherry tomatoes in half. Using a large bowl, add salad mix, peppers, celery, avocado, tomatoes and lemon pepper. The juice from the tomatoes and flavor of the lemon pepper create enough flavor that you do not need dressing. 2 cups of semi-sweet Nestle Toll House chocolate chips. Cream butter, Crisco and sugars together. Mix vanilla and egg well. Slowly add flour, salt and baking soda. Add chocolate chips. Drop on cookie sheet in small scoops. Bake at 35o’ until lightly golden brown. Large can of lemonade concentrate. Crust: Crunch 1 1/2 sleeves of graham crackers, mix one stick of melted butter and 1/2 cup of brown sugar. Combine graham crackers, butter and sugar. Pad crust into 9 x 13 pan or pie pans. Pie: Mix ice cream, concentrate and fold in cool whip. Pour into crust and then freeze! Don’t forget about setting your serving table for the occasion. Just by sticking with red, white and blue and few 4th of July accent pieces you can create a simple but stylish serving area. My favorite thing was giving some height to the table with flags! We hope that you try our families favorite summer time recipes. Please share yours with us on Facebook!